As we watch whats happening in the aftermath of yesterday’s earthquake in Christchurch I’ve been humbled to see the outpouring of love and support for those in the affected areas. New Zealanders have been opening up their homes to people who need places to stay and NZ Search and Rescue teams have been working through the night to find people trapped in the rubble. But I’ve been surprised to hear of the International support that’s been given. 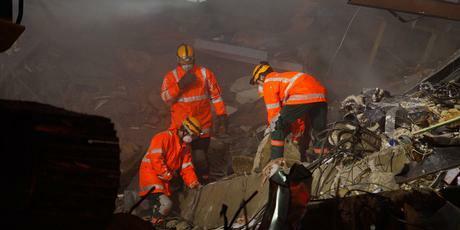 Australia has sent two very large search and rescue teams to assist – THANK YOU NSW!!! And this morning on the radio the Prime Minister said that search and rescue teams are coming in from as far afield as Singapore and Taiwan. Tonight I’ll be holding my precious family just a little bit closer and hoping that those in Christchurch get out of this ok.